Confession of a Die-Hard Makeup Junkie ❤: Q&A in regards to my #nuaLikeAnEarthwormInJapan Trip! Q&A in regards to my #nuaLikeAnEarthwormInJapan Trip! Yeap! I had returned from my #nuaLikeAnEarthwormInJapan trip recently and I have gotten some questions from readers and friends in regards to travelling to Japan. Needless to say about that right? ღゝ◡╹)ノ♡ Oh Shio Ramen I MISS YOU SOOOOOO much!!! #shoutOut Thank YOU so so much for the wonderful company! Can't wait for you guys to come over to SG soon! I'll hope I'll also be an awesome host like you guys did! It's generally safe for any female to walk around the streets in Japan. However, I did have encounters with a couple of weirdo/ stalkers. Word of advice: PUT ON POKER FACE, IGNORE THEM AND BRISK WALK TO ANY CROWDED PLACES. 2. Any TIPS when going Japan that haven't been mentioned much on? [place name] Ni, Do~ Yate Iki Masuka? Yes, they understand basic English as well, and some shop staff even speak in Mandarin too! HAHA. Am kidding. But it definitely won't hurt to bring out some fashionista when walking around streets of Japan. Try not to dress too shabby though (no slippers please). As much as I nua (slack) in Japan, I brought heels, sneakers and sandals for this trip. LOL! Of course you can check out the best travelling tourist deal, but after discussing with the airport staff at Haneda (HND), we had concluded NONE of the tourist deals worked for me as I would be travelling only in Tokyo. 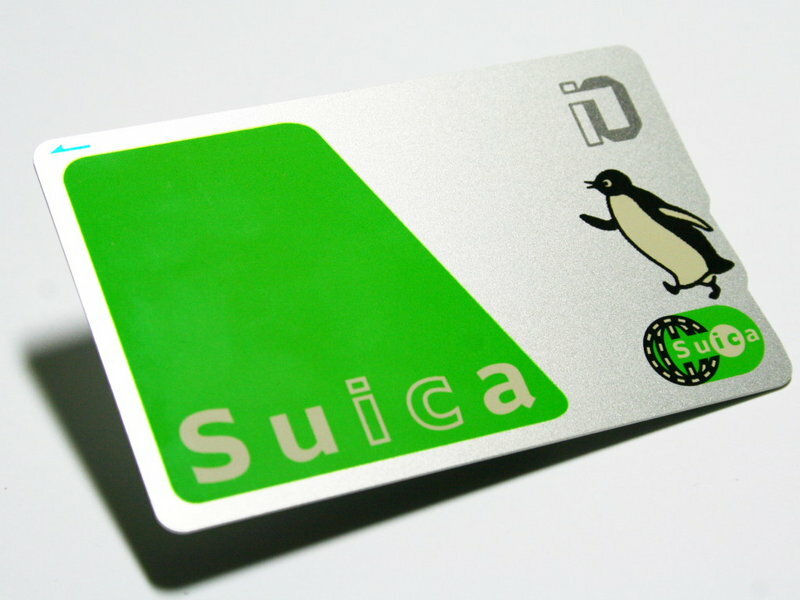 So I just used my SUICA card which can be purchased at any major train stations and use for ANY train lines. #saveMyFirstWorldTravellingProblemInJapan. Yes - SUICA card can be use for payments in selected convenient stores (e.g. LAWSONS/ 7-11/ Family Mart). Think of it as our local EZ-LINK card. You will need to make a deposit of 500yen before adding any amount and you can get back any remaining amount & deposit when you refund the card to the any major train station. If you feel the SG transportation was too crowded/ stuffy/ late arrival of train etc, perhaps you will want to consider experiencing a one-time train ride during their peak hour. Not that I'm a superb traveler, but after having my fair share on some train transportation in Europe, USA, China, Malaysia, Thailand, Australia, Japan, Korea; in terms of cleanliness, travel fare, punctuality, safety, SG is still one of the best. Apologises but SHuiYuki is not a very 'tourist' person when in Japan. As mentioned, the main purpose for this trip is to chillax & hang out with my friends and not rushing & exploring places. WHACK their BEAUTY (and MUJI) products!!! (♡ ὅ ◡ ὅ )ʃ♡ If you are Japanese beauty lovers - THIS IS THE TIME to simply, swipe their beauty products off the shelves and won't mind paying that tad much if you have exceed your luggage limit. HAHA! I'm neither kidding nor serious. Of course, please buy SMART. Understand your current skin conditions (allergies if any) FIRST before doing any blind purchase. 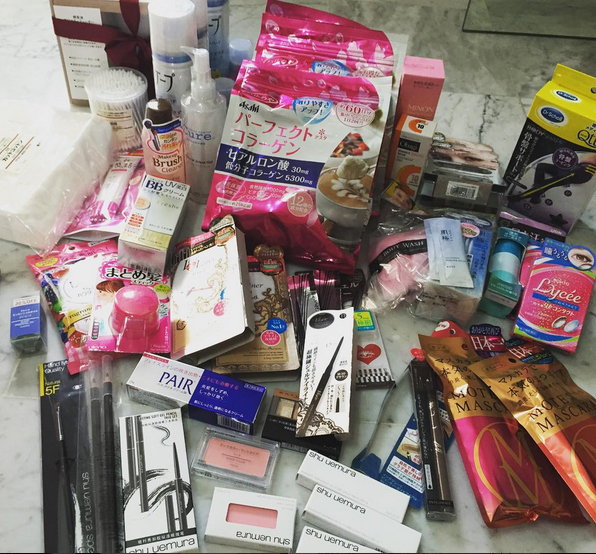 I will be dividing my Japan haul into various blog posts (hair, skincare, makeup, work) ASAP. CARRY YOUR PASSPORT 24/7 FOR TAX REFUND!!! All my tax refund are processed immediately upon payment (i.e they won't include tax amount in the total bill) and they will staple the receipts onto one of the pages in the passport. Of course la, please ask for tax refund only at those Tax Refund shops. Not all shops have tax refund in Japan. (⋈◍＞◡＜◍)。✧♡ I strongly believe KINDNESS BEGETS KINDNESS. "EH EH!! I WANT THIS ONE AND THAT ONE!" " GOT OTHER COLOURS? I DON'T WANT THIS COLOUR!" (⊙＿⊙’) What make me so 100% sure is our fellow SG-rean? "EH GOT FREE GIFT ANOT? HOW MANY?" Come on, lets be honest, while we ourselves detest some people from being so impolite, loud and some may say 'not classy' - shouldn't we reflect in ourselves FIRST before commenting. Treat others the way YOU wanted to be treated. (❁´▽`❁)*✲ﾟ* and have fun at Japan!